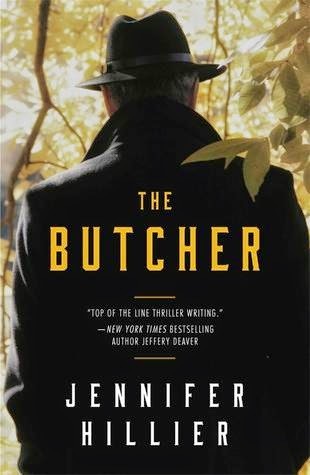 From Goodreads.com: From the author of the acclaimed suspense novels Creep and Freak and whom Jeffery Deaver has praised as a "top of the line thriller writer," The Butcher is a high-octane novel about lethal secrets that refuse to die—until they kill again. Given the high praise this author received from Jeffery Deaver (a favorite author of mine), I couldn't wait to dive into this novel. Unfortunately, in my opinon this anti-climatic "thriller" did not live up to my expectations. Don't get me wrong, the author had a solid concept, and the story itself flowed smoothly enough even if the majority of the characters seemed a little one dimensional, however there wasn't enough suspense to make this a thoroughly enjoyable novel. Whereas most "suspense" or "thriller" novels do not reveal who the killer is in the first chapter, The Butcher tells you almost immediately who was behind everything, leading to there being very little surprises or twists, unlike the synopsis claimed. In fact, this didn't read very much like it was classified as, which again was quite disappointing. There were also a couple of inconsistencies that stuck out to me while reading. To begin with, after repeatedly calling the show "unscripted television" and immediately becoming irate when Matt referred to as anything else, one of the people working on the show called it a "reality show" in the paragraph after emphatically telling Matt that is was not a reality show. That showed to me a lack of staying "in character" that could have easily been avoidable. Another thing that stood out was there were a few times where the author had words out of order. For example, one sentence read "And how much screen time I do specifically get?" Instead of asking "And how much screen time to I specifically get?" Hopefully because this was an advanced copy of the novel, these few oversights will be corrected in the finished proof, but because I am writing my review before it is released, I thought it best to bring it to the author's attention prior to release.